Last month everything went a bit South - my geared stock portfolio was down $14,288, my retirement savings total (SMSF and employer-subsidized account with Colonial First State) was down $1,880 and the valuation of our home was down another $6,218 (due to the overall property market correction in Australia, especially in Sydney). 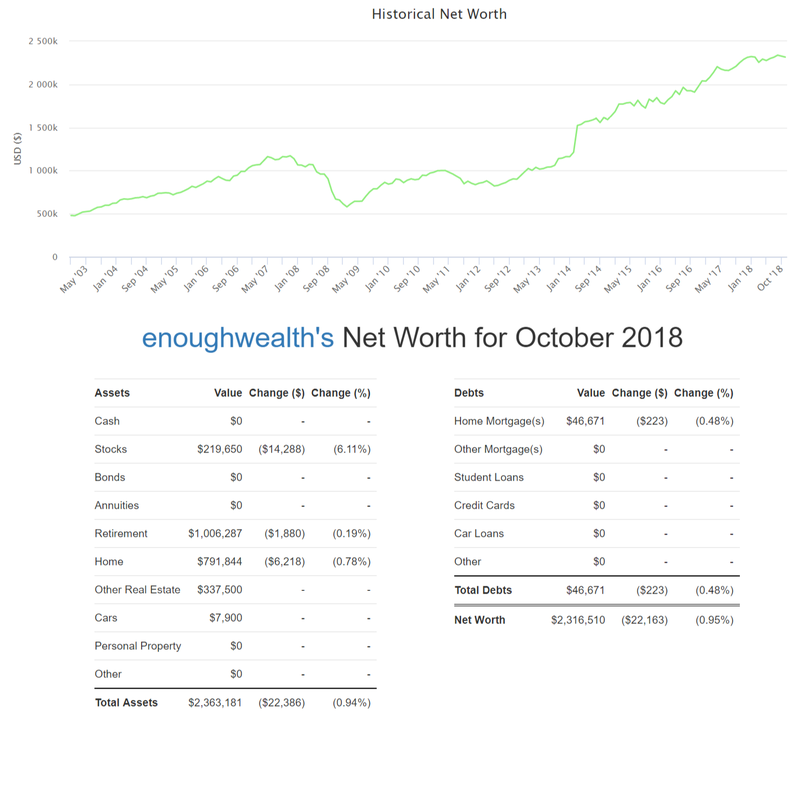 Overall, my NW was down by $22,163 (or 0.95%). On a positive note, I still have my full-time job (recently passed the milestone of 20 years with the same company) and my DFP course is about 50% completed (I'm aiming to try to finish it off this month, so I can apply to become an 'authorized representative of an AFSL holder i.e. become a registered 'financial planner' so I don't have to do the one year of 'work experience' that will be required for 'new' financial planners from 1 Jan next year) although I also have some assignments to do this month for the first course of the MFP I'm doing with WSU).